Well, we’ll tell you just that…. 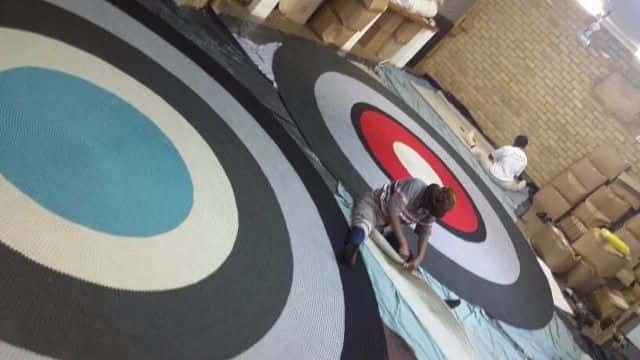 The chicken was on it’s way to roost on our zooty Verandah Collection rugs ready to be installed in Nando’s brand new head offices in Johannesburg. If you’re wanting us to hatch one of these beauties for you, just cluck. ← A new Season, a new Collection!